Review | A special car is fun, but it also brings along some luxury problems. A sports car passes everything except the petrol station. An off-road vehicle is a pricey piece of kit that can overcome obstacles that aren't there. Therefore, Toyota now introduces a car that is special and rational. 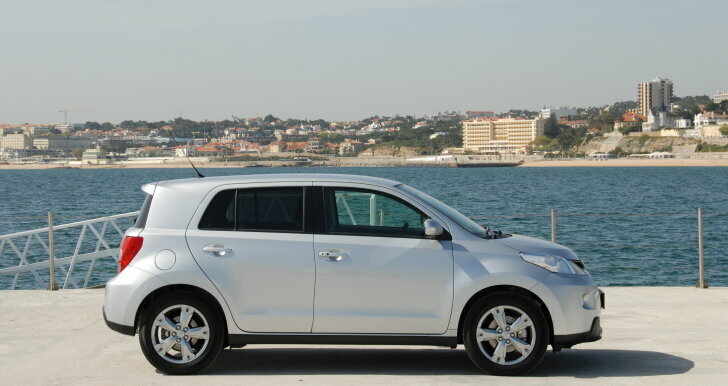 Is the Urban Cruiser an urban myth or did Toyota really manage to combine the two? The average Toyota is a rational choice, not an emotional one. The Aygo is an excellent city car that is cheap to buy and run. The Auris is a sublime, yet hardly noticeable, mid range car. The Avensis is the de facto choice for a company car, chosen for its efficiency and decent looks. But the Urban Cruiser is all about emotion. This high profile Toyota has a raised bonnet and tiny headlights that give the car a firm stance and a self-assured look. Seen from the side, the car distinguishes itself by lots of solid metal and relatively little glass. It makes the car look rock solid. 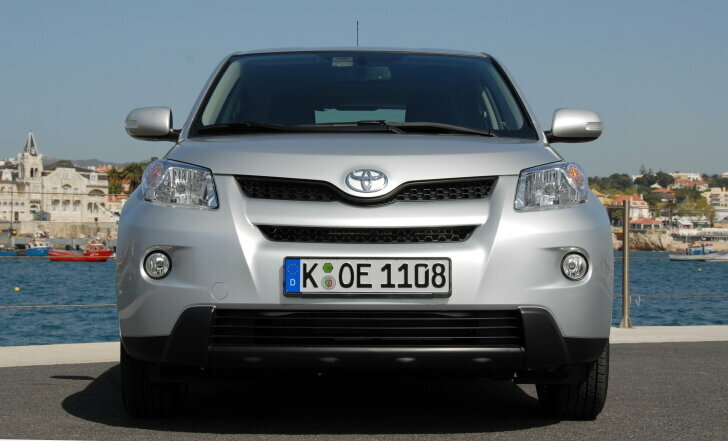 The interior isn't as special and that is typical for the Urban Cruiser: on the outside this is a special car, but in fact the Urban Cruiser is as wholesome and practical as every other Toyota. Regretably the front seats are unusually small, as if the car is only meant for little Japanese men. The seats are too short and the headrests too low to contribute to the safety of the car. Even with the front seats in the lowest position, headroom is sparse. The steering wheel can be adjusted both in height and in distance to the driver, but over too short a distance. Especially tall drivers will have the steering wheel almost on their knees. They feel more like they are sitting on the car rather than in it. The space on the back seat is fine for a car this size. The luggage space is hard to reach because of a large treshold. The size of the boot (300 litres) is fine. The Urban Cruiser is available with a diesel or a petrol engine. Only the diesel engine can be combined with four-wheel drive. The petrol engine always powers the front wheels. 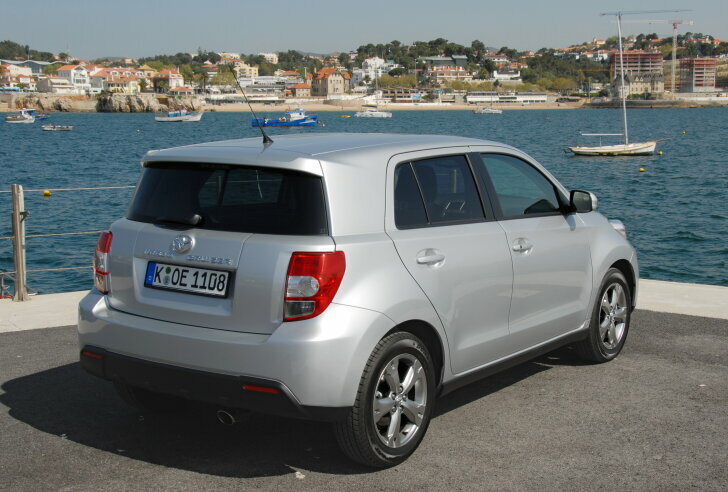 The Urban Cruiser is aimed at people who feel attracted to the tough looks of an SUV, but also want an economical car. Fuel efficiency is the point at which the Urban Cruiser distinguishes itself from its competition. The petrol engine has a displacement of just 1.3 litres (most competing cars start at 1.6 litres), but still delivers 100 hp / 132 Nm and those are good figures. In the city and on the highway the car performs very well. In mountainous areas, where most of the test drive was done, the Urban Cruiser lacks power. Often the throttle has to be floored just to keep up with traffic. Toyota promises an average fuel consumption of 51 mpg and to achieve that the Urban Cruiser offers several aids. A start/stop system shuts the engine off when the car comes to a standstill, the gear is put into neutral and the driver releases the clutch. As soon as first gear is engaged again, the engine starts automatically. This happens so quickly (and shock-free) that it isn't disturbing. When doing a lot of city traffic the start/stop system can save up to four per cent in fuel. A shift-indicator shows the most economical moment to choose the next gear. Very special for a compact car is that this Urban Cruiser 1.3 is fitted with a six speed gearbox. That makes the car especially fuel efficient on long distances. The engine is made out of lightweight materials (the less weight to move, the less energy is needed). The internal friction has been limited as much as possible and the engine management emphasises on fuel economy. The driving noises are average for a car in this price range. The road handling is fine, yet driving the Urban Cruiser isn't as exciting as the extravagant exterior of the car suggests. In the end this hip Urban Cruiser drives just like every other Toyota, and isn't that what it's all about? Did Toyota manage to build a car that looks special but doesn't have any luxury problems like a thirst for fuel, poor handling or unreliable build quality? To start with the latter: reliability and residual value are always good with Toyota, that also goes for this Urban Cruiser. Next to that the design is tough and high profile, although special accessories or even special colours are not available. Just like Toyota promises the Urban Cruiser offers maximum cabin space, yet this space cannot be fully enjoyed because of small seats. Compared to the competition the Urban Cruiser distinguishes itself by excellent fuel economy and a high level of safety. Because of the fully loaded with equipment level the Urban Cruiser seems expensive, but in fact offers good value for money. 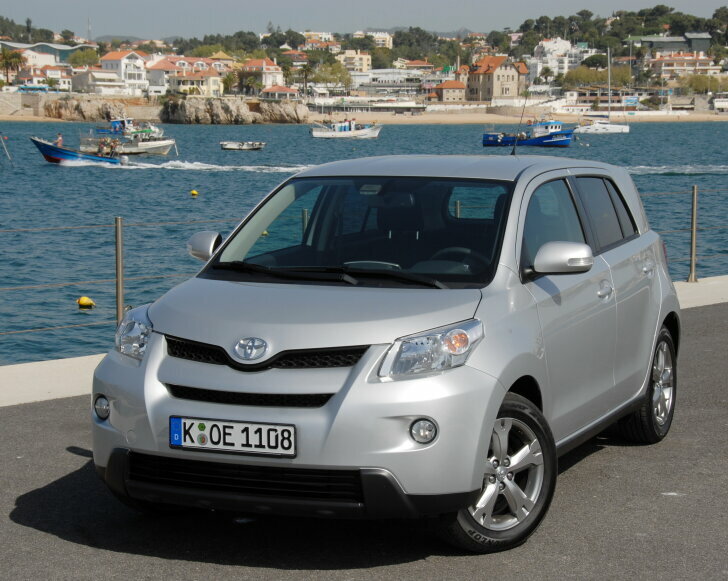 In other words: the Toyota Urban Cruiser is no urban myth!